Mityana South MP Henry Kamya Makumbi. Court ruled that Makumbi was validly elected. Courtesy photo. KAMPALA–In less than a week after the Court of Appeal upheld MP Peter Sematimba’s victory, the same court yesterday gave the ruling NRM party reason to smile when it announced that Henry Kamya Makumbi was validly elected as area MP for Mityana South. Makumbi is a former Resident District Commissioner for Luwero District. 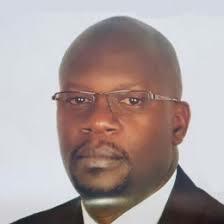 The ruling followed an appeal against his election by DP’s Richard Lumu who alleged that Makumbi never resigned his job to contest for the Mityana South seat. The Justices of the Appeals court said they saw no merit in Lumu’s petition. The Court of Appeal agreed with the High Court, which dismissed Lumu’s petition. Led by the deputy Chief Justice, Steven Kavuma, the panel of three judges observed that there was no evidence showing that Makumbi never resigned from his job, as RDC Luweero district. NRM party has won several court cases and more than 10 by-elections.